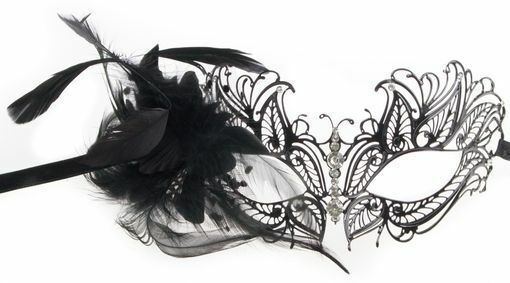 Shaydra masquerade mask is hand made with side feather detail. Can be worn with ribbon ties attached. Faux rhinestones adorn the mask. Perfect for masquerade weddings.